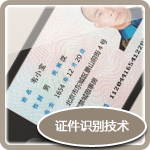 Having awarded the second prize for national science & technology progress award, Hanvon Optical Character Recognition Technology has complete recognition spectrum and supports authorization of many platforms, including android、IOS、Windows、Linux、MTK、Windows Phone etc. 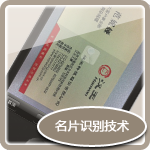 It can meet the Optical Character Recognition needs of many industries such as bank, tax-control,education, telecom, state-cos and vehicle with high recognition rate as well as fast recognition speed, less resource loss, high code security level. 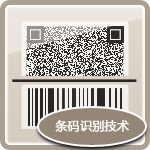 Hanvon bar-code recognition technology covers the mainstream one-dimensional code and two-dimensional code on the market as well as E13B code for financial checks. SDK development toolkit can offer multiple make-coding and decoding cores of one-dimensional code & two-dimensional code so that users can embed in their operation systems. 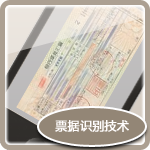 Hanvon bill recognition technology contains the high-end domestic core processing technology of bill and form. It can automatically distinguish categories of bills and documents for type-in according to the pre-defined bill and form categories by users as well as the content for recognition. A large number of bills and documents information can be quickly recognized on a large scale without manual intervention. Certificate Recognition technology can recognize color or gray certificates (color certificates need color images) in actual shootings and automatically analyze certificate structure and understand its content, then output recognition results according to relevant categories. Card recognition technology can recognize color or gray cards in actual shootings and automatically analyze card structure and understand its content, then output recognition results according to relevant categories. Text recognition technology can recognize color or gray text images in actual shootings and make automatic analysis to layouts with multiple lines and columns. 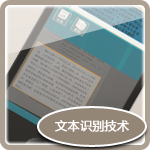 It can distinguish Chinese and English and support multi-platform authentication with strong adaptability.